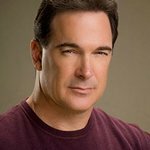 Patrick Warburton (“Rules of Engagement,” “Joe”/Family Guy, “Puddy”/Seinfeld, “The Tick”) is hosting his inaugural “Golf For Kids” Celebrity Tournament the weekend of March 4-6, 2011 at the Classic Club in Palm Desert. An avid golfer, Patrick can often be found teeing off at Los Angeles’ local golf courses. He is even known to refer to himself as having a “pretty serious golf habit.” Well known around the celebrity golf circuit, Patrick plays in such tournaments as The Callaway Golf Foundation Challenge and The Annual Bob Hope Chrysler Classic. Patrick’s “Golf For Kids” Tournament will be held at the Classic Club in Palm Desert, CA. 25 celebrities will be partnered with pro-golfers foursomes to support the St. Jude Children's Research Hospital, where proceeds from the celebrity tournament will go directly to help it continue its mission. Patrick is currently in the midst of filming the 5th season of CBS’s top-rated Monday night comedy “Rules of Engagement’s” alongside costars Oliver Hudson and David Spade.